Internally, On Trac extends real TRUST to its local management teams to serve our customers with heart and professionalism. Externally, On Trac builds TRUST through consistent quality service, ownership, integrity, and honesty in all we put our hands to. On Trac is TRUSTWORTHY. In a similar way, On Trac focuses internally on consistent REWARD in commitment to competitive pay and positive work environments. REWARD also indicates our desire to be part of successful partnerships and that means hard work in support of our customer’s success in the FTTH space- it’s a WIN-WIN relationship. Internally, On Trac holds our people to high performance and quality standards. Each staffer, each technician, each manager is ACCOUNTABLE for Best Practices day in and day out. No compromise. In turn, On Trac stresses ACCOUNTABILITY to our customers for our collective workmanship and efficiencies- day in and day out, without egos or excuses. ACCOUNTABILITY makes us a proven leader. And finally, On Trac is known for CONSISTENCY from market to market, protecting the integrity and reputation of the company. We are CONSISTENT in our message, our methods, our standards, our training, our work ethic, and our commitment to local investment and community support. We CONSISTENTLY perform . . . .
On Trac has accelerated at high speed from humble beginnings in a home office to operation centers across multiple states. The company was built through core convictions which brought the founding families to the company name. Conviction such as the centrality of trust with clients, the honest need for competitive pay and reward, being accountable “uphill” in listening to field personnel, and replicating excellence through consistency. Officially launched in August of 2002, On Trac began work on key FTTH projects within just a few months of incorporation. 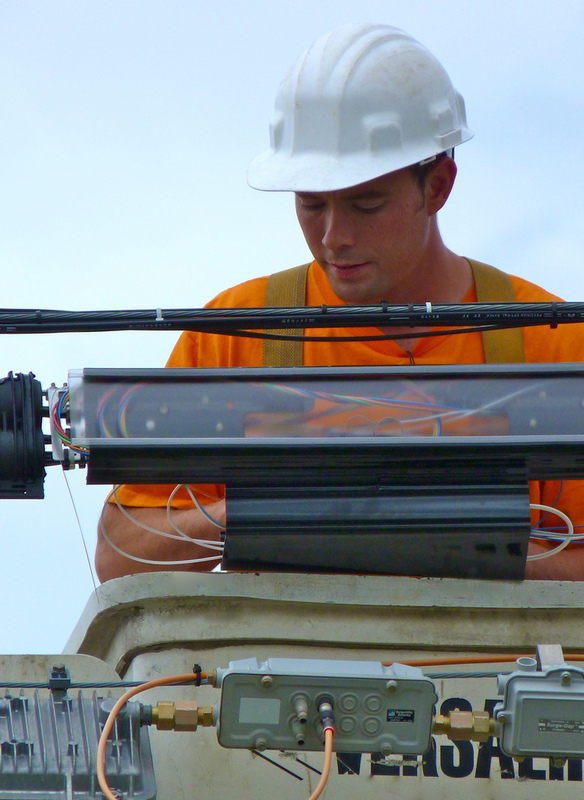 On Trac is committed to the FTTH industry and to serving our customers with their best interests at heart. 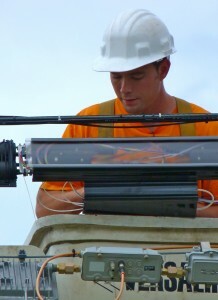 We bring experience, integrity, enthusiasm, honesty, and a proven record of leadership in fiber connectivity. Click here for more information about On Trac, Inc employment opportunities. Click here for more information about On Trac, Inc subcontractor opportunities.